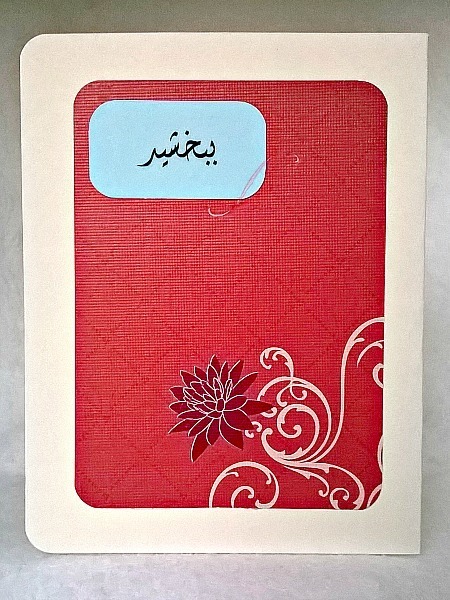 This pretty crimson red card is perfect when you are in need of saying I'm sorry in Persian. Did you recently compliment your wife's khoresh in front of your mother? Has your high school BFF recently lost a beloved maadar bozorg? 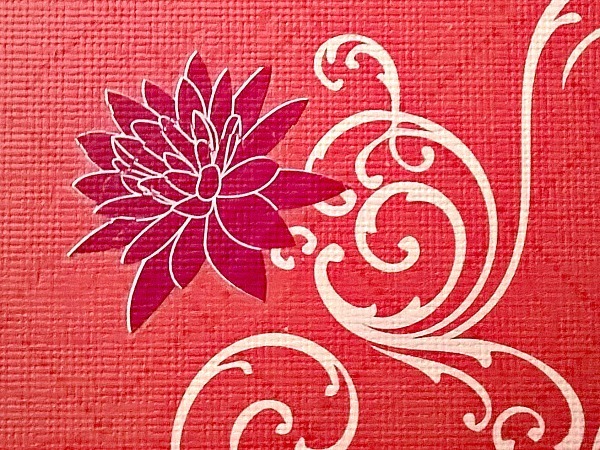 Whatever the occasion, say it elegantly with this handmade card that includes a beautifully printed white spiral design in the lower right corner that has a red rub on flower attached. 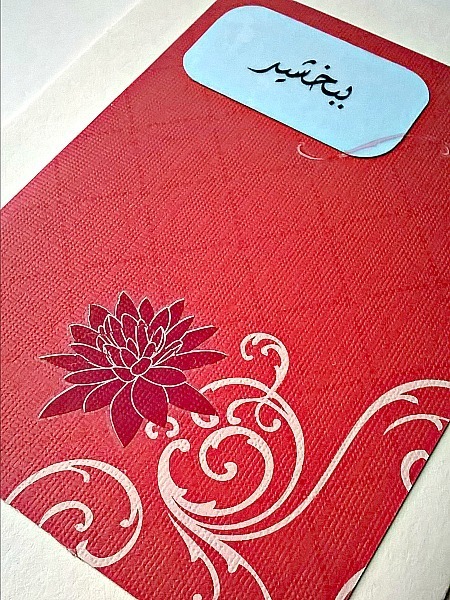 The word bebaxsid has been printed on vellum and added to blue cardstock in the upper corner. A rub on swirl has also been affixed to compliment the swirls below. 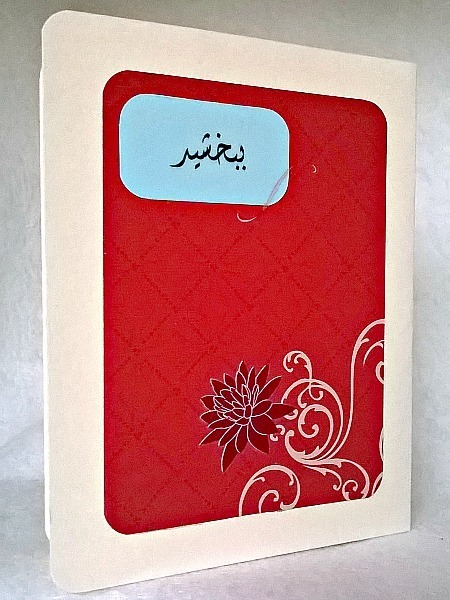 It is blank inside and will be mailed to you in a protected plastic sleeve, with a beige envelope. The card was made it in my smoke/pet free studio.